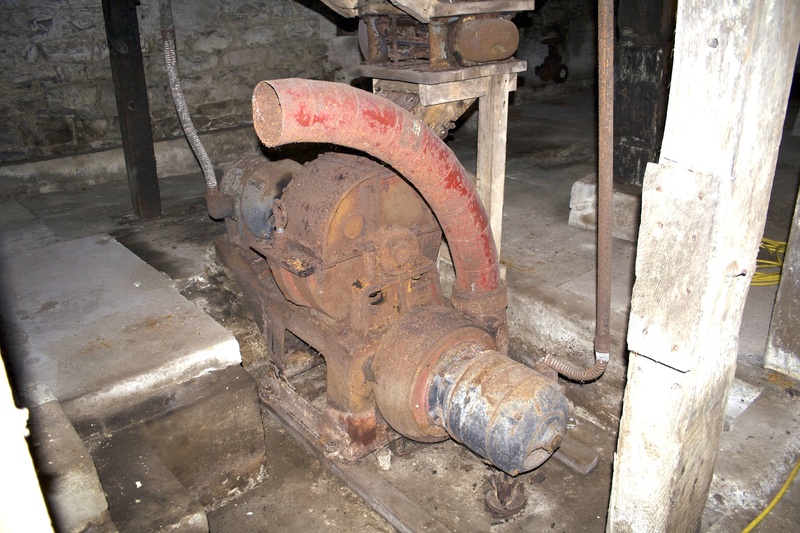 The basement of the Mill was reasonably empty when we purchased the Mill in 2005. It contained one piece of machinery which is either a hammer mill or a feed chopper, I’m not sure. 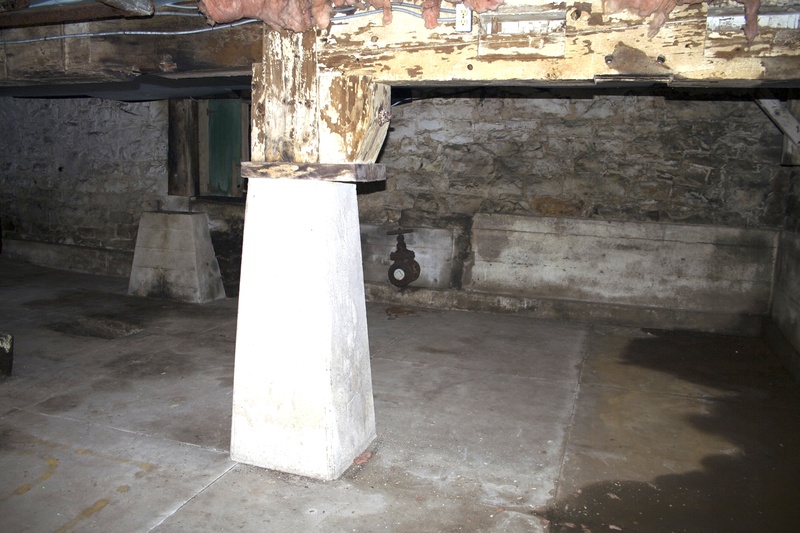 Some of the original wood columns had been reinforced with cement pillars. 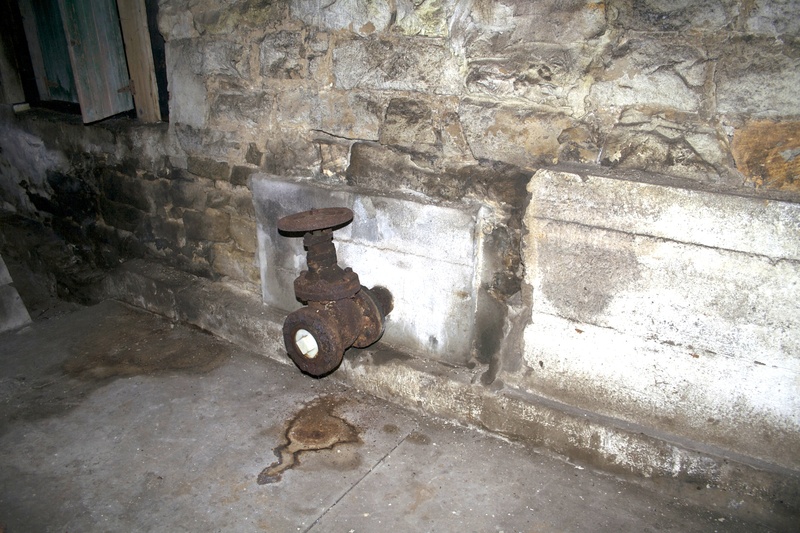 There was a large valve in the wall that led to the molasses cistern.